The process of personal Ascension is all encompassing. 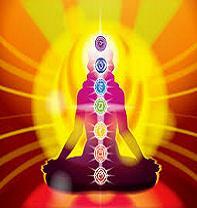 It is a shift of energy resonance from a slower vibration to a faster vibration or frequency. It involves all aspects of your being. The Human being is a complex energy matrix comprised of physical, emotional, mental and etheric bodies of energy all swirling in harmony with each other. As you set your intention to ascend you are asking the Universe to awaken your consciousness and to empower the human expression to embody more Light, i.e. resonate faster. This shift, which happens incrementally, creates changes you will experience in all of your energy fields. Some are quite pleasant. Others can be difficult and confusing. It is important to understand that expressing a more spiritual life does not mean ignoring the fact that you have a body. You chose, on a soul level, to express your divinity in form. Taking good care of your "form" is of utmost importance. As someone who has always had a healthy body, and a relatively healthy lifestyle, it was difficult for me to discover when I had a rather significant physical disease. You see, I learned at an early age, through the words of Edgar Cayce: The Sleeping Prophet, that any disease was simply that - dis-ease. So, it caused me to take a thorough look at where things in my body, mind, and life where out of balance. One of the first things I discovered was the importance of a proper diet. Now, I will state up front that I had stopped eating red meat (beef and pork) decades before. I consumed lots of fresh vegetables, fruit, and some fish and fowl. For the most part I did not eat a lot of carbohydrates, and my snack food of choice was trail mix (nuts and dried fruit). I thought I had a good diet. What I came to realize was that ALL of my intake needed to be adjusted. An example was two of my favorite daily foods. I made fresh smoothies with fruit and yogurt, and made trail mix from scratch, with the nuts and fruit I enjoyed. Little did I know I was going about it poorly. The human vessel is healthiest when the food intake is of an alkaline nature. Do not mistake my words here. The body self-regulates to maintain a balanced ph level. When you consume too many things that break down in the body as acidic, the body has to work harder to maintain the balance. That extra work taxes the immune system, as well as the liver and kidneys. It is imperative that you establish and maintain a diet high in alkaline based foods. For me, this meant changing from fruit smoothies to vegetable smoothies, and changing the types of nuts - from peanuts and cashews - to almonds and walnuts, in my trail mix. You might think this doesn't matter very much. It does! For everyone, anywhere, whether you are you have an active intention for ascension or not, it is important that you begin to adjust your daily food intake to a more alkaline state. 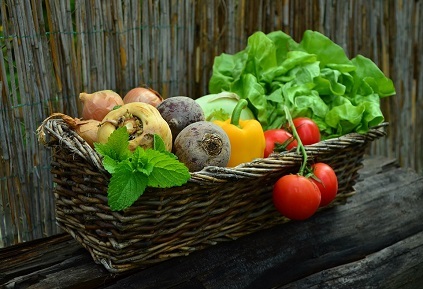 •	The single best way to do this is to eat raw, organic foods - primarily green leafy vegetables. •	The second best way to do this is to stop consuming "white foods". All white flour, white sugar, and processed foods add acidity to the body. 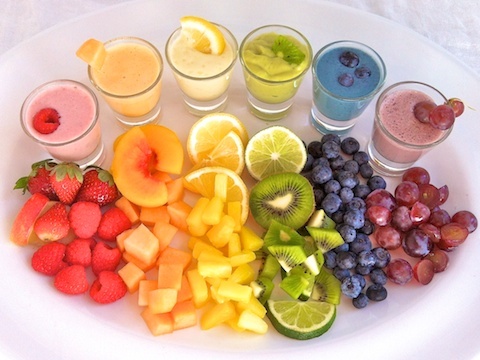 •	The next best thing is to be very selective about the fruit you eat. Again, raw, organic fruit is the best, but several fruits are high in fructose and, as broken down chemically in the body, contribute to the acidity of the system. There are several good books available to assist you in learning about the importance of an alkaline diet, and how to begin making those changes. Buy more than one book. Visit more than one website. Do not think that a simple list of foods is all you need to know. The Association for Research and Enlightenment offers a great "diet wheel" you can post on your fridge for easy reference. This diet was given by Edgar Cayce as an example of how best to maintain the body. As you begin to change your intake you will notice changes in your body. All excrement, from bowel to perspiration, will probably change in odor and frequency. This is an indication that the body is coming back into balance. The one ingredient you cannot live without is water. Begin consuming at least one gallon of water each day. Stop consuming any beverage which is processed - including all sodas, fruit juices, "power water drinks" - and anything that contains fructose or corn syrup. Limit the amount of caffeine you consume and increase the amount of green tea you drink. The best books you can get about the true power of water were written by Masaru Emoto. Mr Emoto has spent years studying the effects of water, and how to affect water. Both are important in caring for your body. •	More is not enough! You simply cannot drink too much water on any given day. •	Drink spring water. Refrain from tap water unless you have an artesian well as the source of your tap. •	Charge the water with messages. This is explained in the Emoto books. Water will "pick up and carry" the messages you give to it. It will change its crystalline structure accordingly. It will then affect the cells of you body in accordance with the specific charge you give it. •	Oxygenize and/or alkalize the water. Getting oxygen to the cells is imperative for good health, and even healthy water can contain minerals which are not necessarily of an alkaline nature. If you want to take it to the next level you can ionize your water. (Numerous devises are available for this). I drink well water which is then poured through a Brita filter. My Brita pitcher has a photograph of me at the Ascension portal on Mt. Shasta, California. When I visited Mt. Shasta a few years ago, I AM showed me how the mountain uses the electromagnetic energy of the place to "purify the blood." My message to my water is "Purify the blood, and aide in my Ascension." Whenever I pour the water from the pitcher for drinking, I add Cellfood, an agent for oxygenating the water, if I am going to drink it immediately. If I am preparing a large container of water to have with me throughout the day, I add fresh squeezed lemon juice. Consuming lemon water throughout the day is a great way to alkalize. It is extremely effect when done in the evening before bedtime. I try to drink at least a gallon of water each day. I have stopped drinking my favorite beverage, apple juice. I have also cut back on all the fruit nectars I enjoyed so much. I don't use a juicer, as it removes so much of the really good stuff from the ingredients. I use a blender and enjoy chewing the concoction I create. •	Fresh salad greens. This can be any type of lettuce or sprouts. •	Fresh ginger root, peeled and chopped. •	Fresh parsley, flat or curly leaf is fine. •	Green colored apple, like Granny Smith, or watermelon. This adds a little sweetness - as I really don't like kale. •	A teaspoon of Spirulina, which adds many of the nutrients found in green vegetables. Toss all ingredients in the blender and liquefy. Drink within 10 minutes of making. Contrary to what you might presently believe, all things on this planet have consciousness. All foods and minerals were created by Spirit and exist in the same Universal energy you do. Shopping, cleansing, and preparing foods for consumption are best done in reverence. Every indigenous culture on this planet uses ritual in the gathering and preparation of foods. There needs to be a sense of appreciation and celebration. This mindset will actually activate the foods to be of higher service to you, as you live is service to others. Yes, I still eat chocolate and ice cream...but not nearly as much as I used to. Once you begin to notice the changes in your physical and mental states you will realize whatever sacrifices you thought you were making are totally worth it.